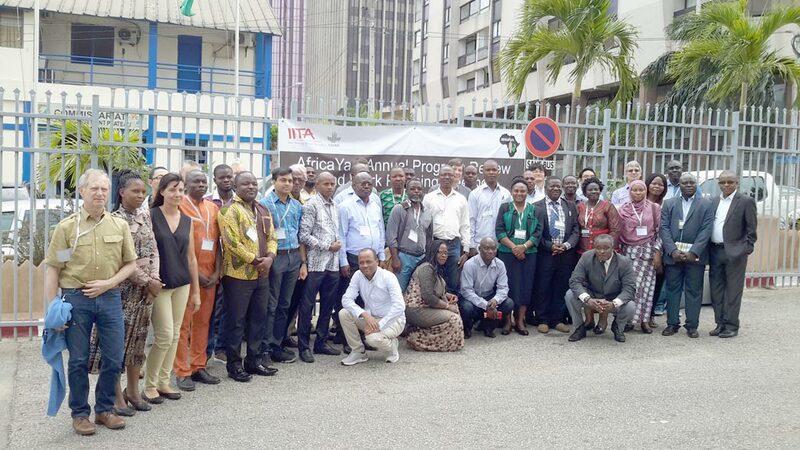 The AfricaYam Project held its 4th annual progress review and planning meeting, 26 February to 1 March, at Hotel Tiama in Abidjan, Côte d’Ivoire. 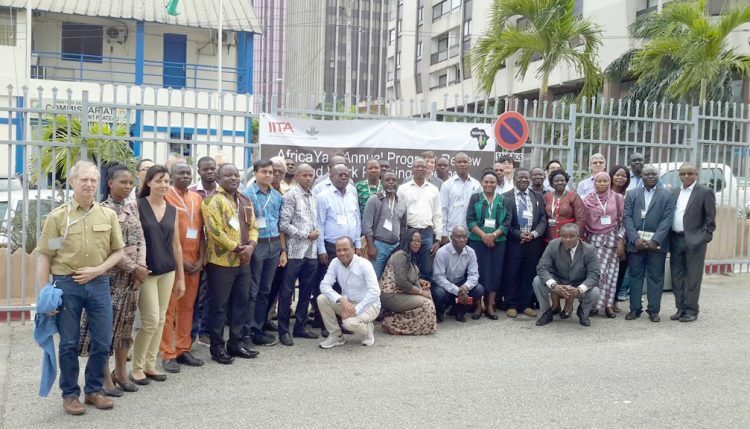 Fifty scientists, partners, and other stakeholders from eight countries; namely, Benin, Côte d’Ivoire, France, Ghana, Japan, Nigeria, the United Kingdom, and the USA attended the four-day meeting to review the project’s progress in 2017 and develop a work plan for 2018. The AfricaYam project is focused on breeding for high-yielding and robust varieties of white (Dioscorea rotundata) and water yams (D. alata) that will be preferred by farmers and suited to market demands. The project is led by IITA and involves a network of research organizations in the four main producing countries of the yam belt; the National Root Crops Research Institute (NRCRI) and the Ebonyi State University (EBSU) in Nigeria; two research institutes under the Council for Scientific and Industrial Research (CSIR) in Ghana (Crops Research Institute and Savannah Agricultural Research Institute); le Centre National de Recherché Agronomique (CNRA), Côte d’Ivoire; and Université d’Abomey-Calavi (UAC), Dassa Center, Benin.